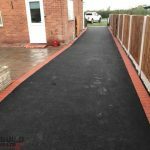 Call our team to book a free quote from reputable tarmac contractors in Telford, Shropshire. All types of tarmac and asphalt driveways laid expertly. We have over 20 years experience installing tarmac and asphalt driveways. 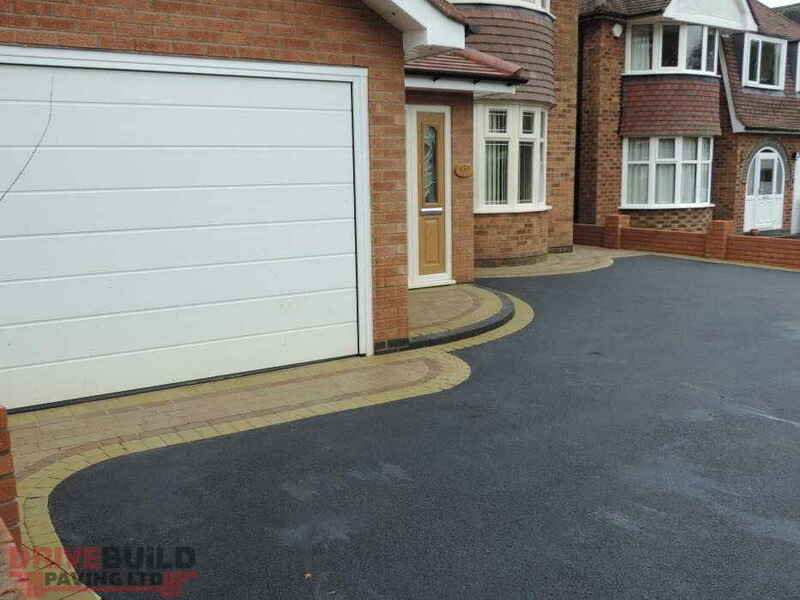 We can resurface or replace your driveway in Telford with a new tarmac or asphalt driveway. 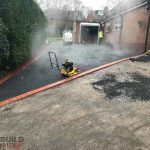 We provide a range of tarmac services that includes multiple options on the type of tarmac or asphalt finish, granite edging, standard concrete edging or a block paving border around your tarmac driveway in Telford. 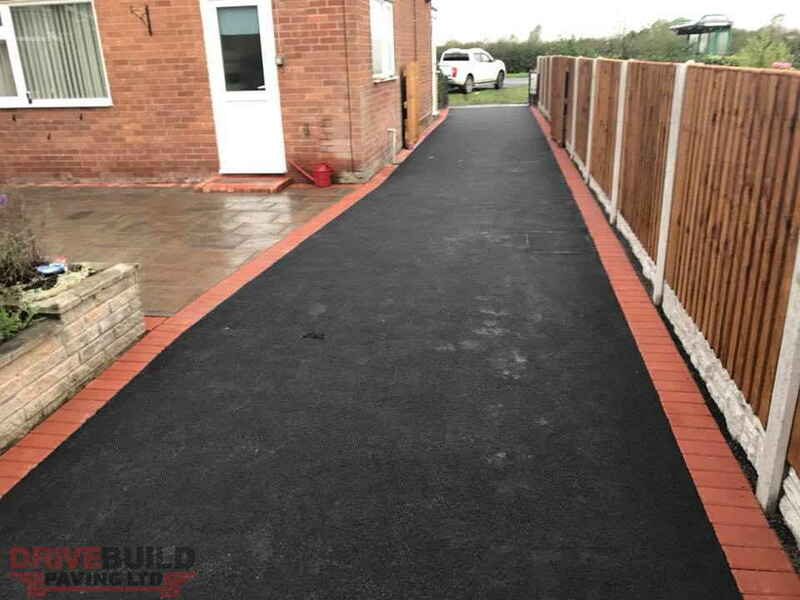 If you are looking for a tarmac contractor in Telford to replace your driveway, resurface your driveway or build a new asphalt driveway, at an affordable price, give us a call today on: 01743 624035. 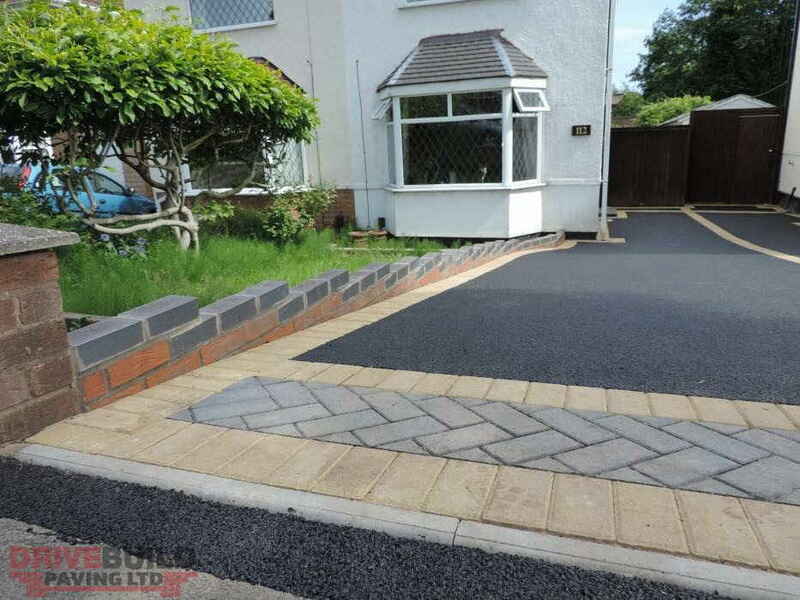 We can custom tarmac driveways with a paving apron, multiple styles of borders for your tarmac and even install patterns in the tarmac driveway. All work done the highest of standards and backed by our installation guarantee. If your driveway has issues water, we can install Aco drains to provide surface water drainage on your driveway. If its a new driveway, it will need drains installed at the base of the driveway according to SUDS. 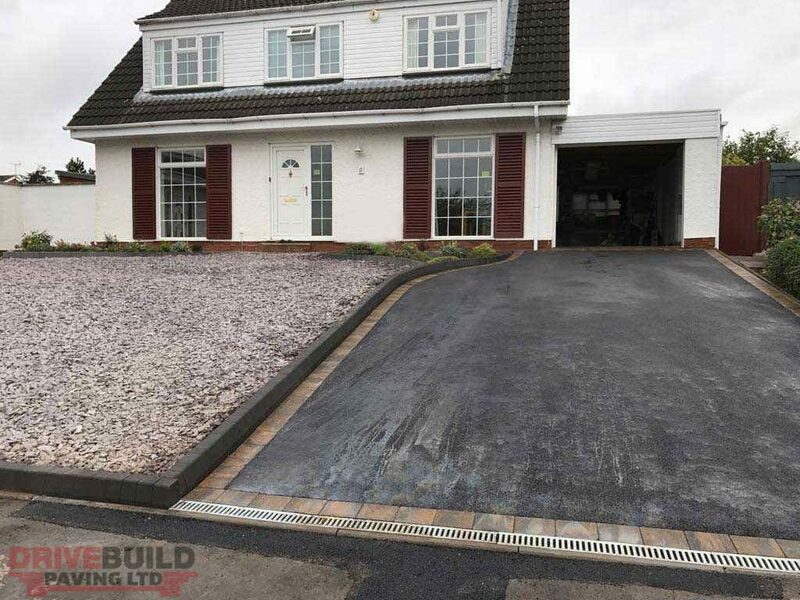 Long term and durable tarmac driveways from DriveBuild in Telford, Shropshire.